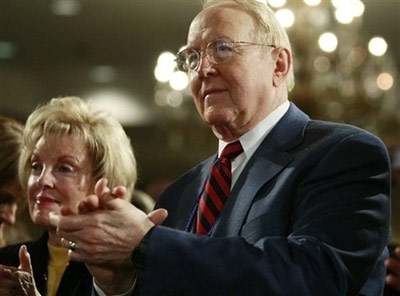 Prominent evangelical leader and Ted Cruz supporter James Dobson has officially endorsed Republican presidential nominee Donald Trump for president, the day after the Texas senator got booed off the GOP Convention stage for not issuing his endorsement of the Manhattan businessman and reality TV star. The founder of Focus on the Family and Family Talk radio issued his support of the billionaire real estate mogul in an official statement shared with The Christian Post Thursday. "I have decided to endorse Donald J. Trump for President of the United States, not only because of my great concern about Hillary Clinton. I am supporting Mr. Trump primarily because I believe he is the most capable candidate to lead the United States of America in this complicated hour," the 80-year-old Dobson said in the statement. "I am also very enthusiastic by the selection of Gov. Mike Pence as Mr. Trump's running mate. Together, I believe they will make America great again." Dobson, who endorsed Cruz for president last December and appeared in a pro-Cruz television ad attacking Trump for saying that he would accept last year's gay marriage Supreme Court as "the law of the land," agreed to join as a member of Trump's evangelical advisory board last month at Trump's meeting with over 900 evangelical leaders in New York. "Mr. Trump has been unwavering in his commitment to issues that are important to evangelicals such as myself. In particular, I have been heartened by his pledge to appoint conservative Supreme Court justices, preserve religious liberty, rebuild the military, and defend the sanctity of human life," Dobson explained in his statement. "On the issue of abortion, I choose not to evaluate him based on his past position but rather on what he says are his current convictions. I believe God can change the hearts and minds of people and I celebrate when they support principles of righteousness." Dobson's endorsement comes the day after Cruz, a U.S. Senator from Texas, refused to endorse the GOP nominee during his speech at the GOP Convention in Cleveland on Wednesday. Cruz defended himself on Thursday, saying that he could not endorse a man who verbally attacked his wife and father. In his statement, Dobson said that the tipping point for him on Trump was hearing the way his children speak highly of their father. "As a psychologist and a family counselor, I have spent my life equipping and resourcing families. One thing I have observed is that you cannot make a child talk about his or her parents the way Donald Trump's children speak of him," Dobson explained. "That is one of a man's most significant affirmations." Dobson made headlines last month when he said after attending the June Trump meeting that Trump was led to accept Christ and "really made a commitment." Days later, he backed off the comment, saying that he had heard that televangelist Paula White was the one that led Trump to Christ. Subsequently, White was interviewed by The Christian Post and shared some details on her understanding of Donald Trump's faith. "I can tell you with confidence that I have heard Mr. Trump verbally acknowledge his faith in Jesus Christ for the forgiveness of his sins through prayer, and I absolutely believe he is a Christian who is growing like the rest of us. I know that from many personal conversations," she said. Dobson clarified that he only issued his endorsement on his own behalf and not on the behalf of any organization he is affiliated with. 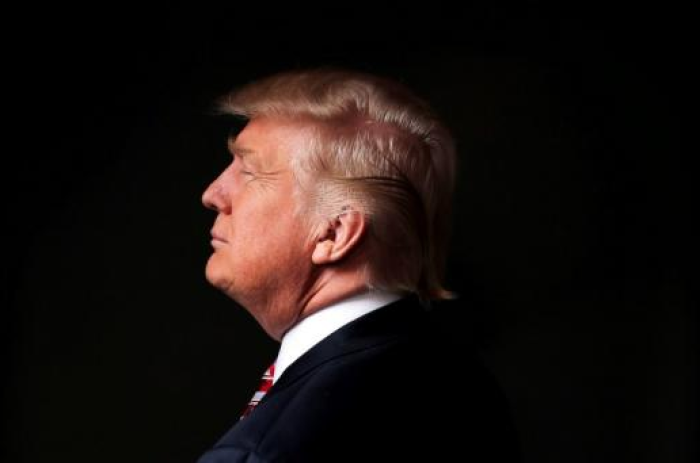 "Though I can tell you most evangelicals I know have decided ­for various reasons ­that they will really have only one choice for president, and that is Donald J. Trump," Dobson asserted. "I believe it's a good choice. America needs strong and competent leadership." Can Donald Trump Win Without Devout Catholic Voters?